The Reef Ball Foundation is a non-profit organization that reaches across over 60 countries. 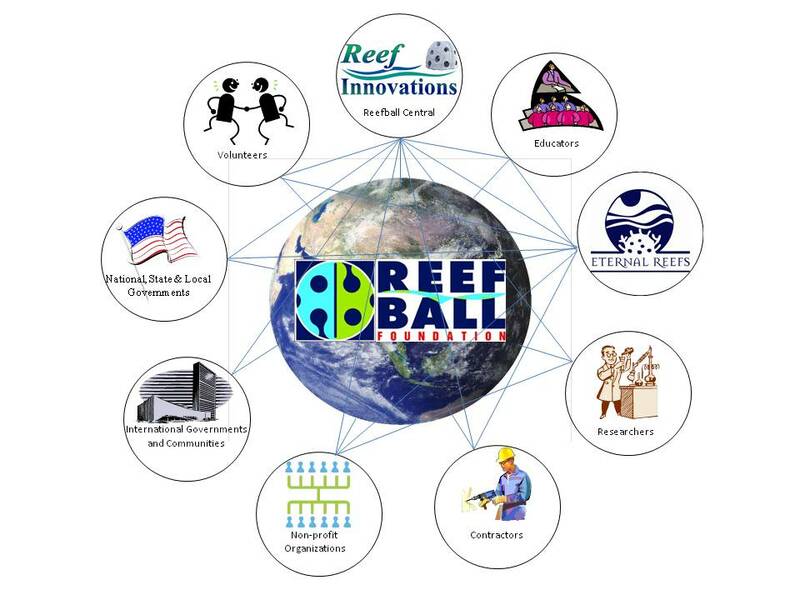 Reef Innovations is the Worldwide Contractor of Reef Balls and Reef Ball Technology. Larry Beggs is the Vice-President of The Reef Ball Foundation, and President of Reef Innovations. More details about The Reef Ball Foundation can be found at the Reef Ball web site. This site will provide you with product information, some research links and various uses of Reef Balls.